Dr Rupy is the NHS General Practitioner behind 'The Doctor's Kitchen'. He creates delicious recipes and brings attention to the amazing clinical research behind the ingredients. 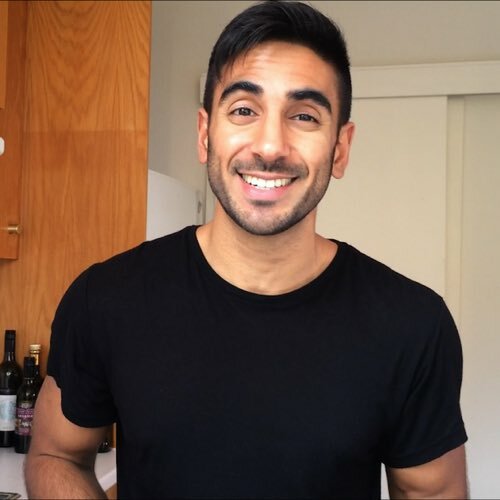 He is inspiring patients to appreciate the beauty of food and the medicinal effects of eating well on his Youtube Channel as well as his popular Instagram page, Facebook and Blog. In his role as clinical adviser to the Royal College of GP's, he has big aspirations to bring the concept of 'Culinary Medicine' to the profession globally. 'Plates over pills' is his motto - a delicious healthy diet is the first step in disease prevention and treatment. "For disease prevention and reversing existing diseases we need to give patients a foundation in cookery. If tomorrow I was suddenly in charge of the NHS I’d make sure all GP surgeries could refer patients to community cookery classes like what Made In Hackney provide. I totally support their approach. They’re putting fruit and vegetables center stage which, after all, is what people need to eat more of but lack the inspiration. Their classes give people new ideas and skills – they’re just great." Yasmin Khan is a writer, campaigner and cook. She is the author of the best-selling and critically acclaimed cookbook 'The Saffron Tales: Recipes from the Persian Kitchen' and is passionate about challenging stereotypes and perceptions of the Middle East. 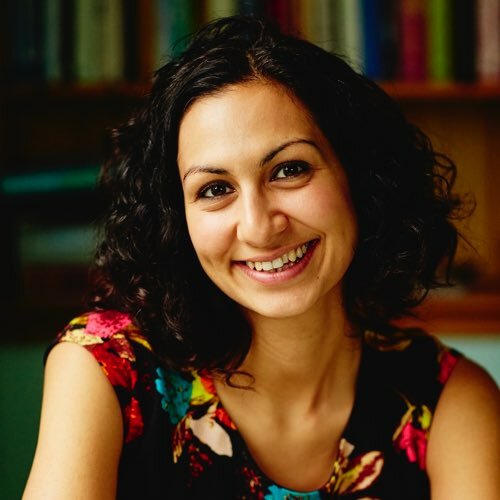 Before immersing herself in the flavours of the Persian kitchen, Yasmin worked as a human rights campaigner for NGOs and grassroots groups for a decade running high-profile national and international campaigns on social justice, poverty and human rights issues. She is a regular media commentator and has appeared on flagship programmes such as Newsnight, the Today programme, 10 O’clock Live, Sunday Brunch and Cerys on 6. Her work has appeared in the Guardian, the Observer, the Independent, The Telegraph, the Sunday Telegraph, Sainsburys magazine, Stylist, Psychologies, Women and Home and Vogue.com. 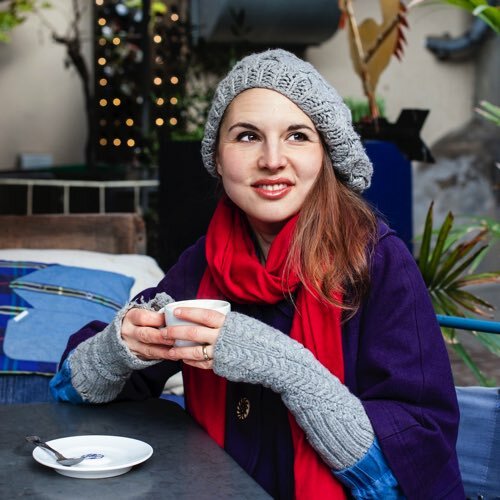 Today Yasmin works as a freelance writer, runs pop-up supper clubs and cookery classes and is writing her second book. "I support Made in Hackney because I'm passionate about creating a food system that is good for both people and planet. Healthy eating habits get learnt in the kitchen and I'm a strong believer that the best way to improve a nation's health is to get more people cooking! What makes Made in Hackney so unique and important is that is makes healthy eating accessible and - crucially - affordable to the community. I'm proud to champion their inspiring work." Rachel de Thample has worked in the kitchens of Marco Pierre White, Heston Blumenthal and Peter Gordon. She is the author of Less Meat, More Veg (Kyle Books) and FIVE (Ebury), and has served as Commissioning Editor of Waitrose Food Illustrated and Head of Food for the pioneering organic box scheme Abel & Cole. She lives in Crystal Palace, London, where she has helped set up numerous local food initiatives, including the award-winning Crystal Palace Food Market and the Edible Garden. Rachel is currently running preserving courses at River Cottage in Devon, runs a monthly Market Table pop-up dinners and writes for The Simple Things and Locavore magazines. "Made In Hackney’s vision, mission and aim is completely in tune with mine. Their approach is down to earth and focused on accessibility of good, nutritional food that’s good for people and planet. I’ve been watching their progress from the other side of London since they started and are absolutely thrilled to be working with them. What makes Made In Hackney so unique is their focus on community, affordability and accessibility to good food - also their uncompromising commitment to organic and seasonal foods. When I’ve talked to people who’ve been on one of their courses they are not only inspired, but they’re empowered to make changes in their diet. People walk away with something that has a positive effect on their health. They act on what they’ve learned and share it with the wider community." Joel Bravette aka Jay Brave is a man on a mission. Since going vegan in 2016, Jay has taken activism and outreach in a fresh direction, remixing it for a younger, urban, tech-savvier audience. 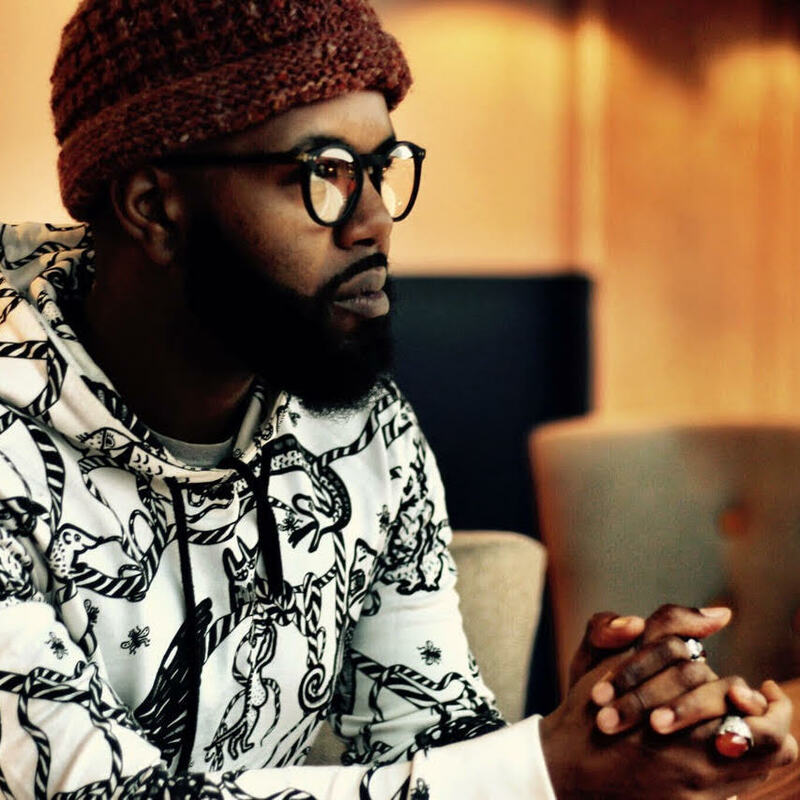 Having creative collaborations with Vevolution, Votch and the Humane League under his belt already, Jay is taking the vegan scene by storm with his thoughtful monologues, provocative spoken word and catchy parodies. "We cannot build the house of the future with the architects of the past. We need to elicit a paradigm shift that starts with empowering our young people." Jay Brave's Vegan Shut Up pays homage to grime superstar Stormzy's smash hit but with a distinct vegan twist. The accompanying visual progresses the vegan message with a colourful and humorous pastiche of London's vibrant vegan spots as well as some other familiar people and places. Roxy & Ben launched So Vegan with the mission to revolutionise the way we all think about vegan food. It's bland, boring and complicated, they were told. But as recently turned vegans, they knew vegan food could be incredibly fun, super simple and packed full of flavour, and they wanted to share their vision with as many people as they could. There was nothing like So Vegan at the time, so the couple took it upon themselves to debunk the all-too common myths about their newfound passion in life: plant-powered food. So Vegan now has over a million devoted followers and their recipes reach tens of millions of people every month all over the world. 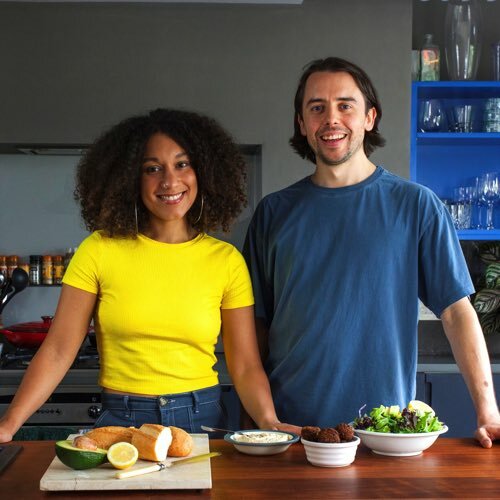 To this day, Roxy & Ben continue to develop, film and edit their delicious new plant-based recipes from their cosy flat in Camberwell, south London. Their debut cookbook, So Vegan in 5, will be available at the end of 2018. Community-based initiatives like Made In Hackney are so important because they make cooking from scratch accessible to everyone, from all walks of life. Eating great-tasting and home-cooked vegan food is something that we are very passionate about and it's exciting to see the team at Made In Hackney bringing people together in an informative yet fun and approachable way.